There is no doubting that Las Vegas is famous for its party style atmosphere. Many people come to Las Vegas each year to take advantage of the casinos and nightclub life. However, during the day before all of the excitement begins, many people like to take in some of the other attractions that Las Vegas has to offer. 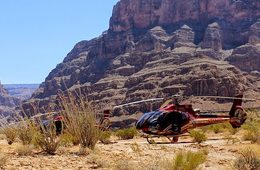 One of these attractions is the Red Rock Canyon Tours offered by Viator. The Red Rock Canyons in Las Vegas are a spectacular site and the tour offers a 4 ½ hour trek through the beautiful canyons. Wilson Cliffs are a beautiful part of the Red Rock Canyon Tours. The cliffs are part of the Keystone Thrust which is over 65 million years old. In addition the Red Rock Canyon Las Vegas tour includes an off-road adventure. This adventure will take you up Rocky Gap Road to see sights that are not visible on the trek itself. The fossilized sand dunes are literally trapped in time and will show you the effects that the passing time has had on the lands surrounding the dunes. There are also many different types of wildflowers and plants that you will see on your excursion – plants that you have likely never seen before. Your trekker will be sure to answer all questions you may have about the surrounding elements. A gift shop is available at the end of the tour to purchase souvenirs. Be sure to bring your camera along to catch some of the spectacular sites on the Red Rock Canyon Las Vegas tour. This is one trip where you will not want to leave your camera at home. The tour includes pickup and drop off at your local hotel. You will also have the benefit of traveling in a small group that is led by a professional trekker. Bottled water is provided as well, to keep you hydrated throughout the trek. You will need to bring your own food along or other drinks if you desire more than water. Gratuities are not included and are optional. • Your tour may be canceled if there are not enough packages sold and if the tour is canceled you will receive a refund or an alternative offer. • Children under 18 months are not recommended for this tour due to the longevity. • If you are in a wheelchair, you are more than welcome to take the tour. However, you will need a friend or family member to assist you in handling your wheelchair upon boarding and unloading. 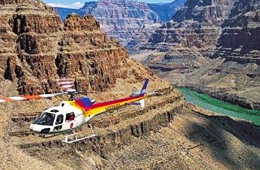 The Red Rock Canyon Tours are offered at two different times of day. You can choose to go on the morning excursion which departs at 7:45 am or you can also choose the Red Rock Canyon Las Vegas tour that leaves at 12:45pm. Each trip lasts approximately 4 ½ hours so be sure to plan accordingly. Depending on the time of day your excursion takes place, you may want to bring a sweater for the trip in case you get cold. Afternoon temperatures in Las Vegas tend to get high, especially in the desert so dress appropriately. 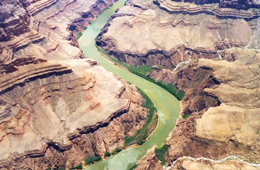 More than anything though, enjoy your excursion and learn about the magnificent Red Rock Canyons of Las Vegas.